"Be Loving Address Labels" product is already in your cart. 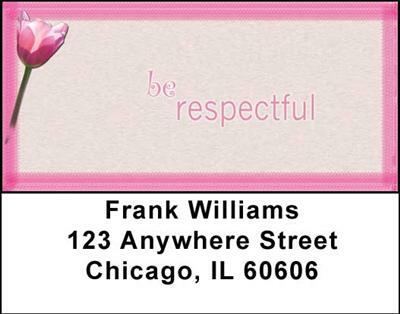 These inspirational Be Loving Address Labels will remind you to think before you say anything unless it is said in a loving way. Four delightful colors might change the look of the label but the message is always there ï¿½ Be mindful is shown in a pretty mauve background with a contrasting border and Be respectful is shown in a trio of colors that include sage green with a contrasting border, pretty pink with its darker border and pale yellow ï¿½ all graced with a lovely pink flower. These labels will always keep you grounded in having respect for others and loving everyone for who they are.